High intensity training, or HIT for short, is a workout style that can completely change your life and body quicker than traditional forms of cardio exercise. Whether you are looking to incorporating HIT into your existing routine or are looking for the best way to quickly shred pounds of fat, intensity training can be the biggest boost to your current lifestyle. Known for being the most efficient ways of working out, HIT has fast become the countries preferred method of working out, as seen by all the at-home program trends. Adding intense training to your existing routine will not only boost overall fitness levels but it give you more power and increased strength. This method of training has been proven to be the most efficient form of working out when it comes to performance and fat-burning. Some studies suggest that just 1 minute of intense training can equal 45 minutes of steady cardio exercise. 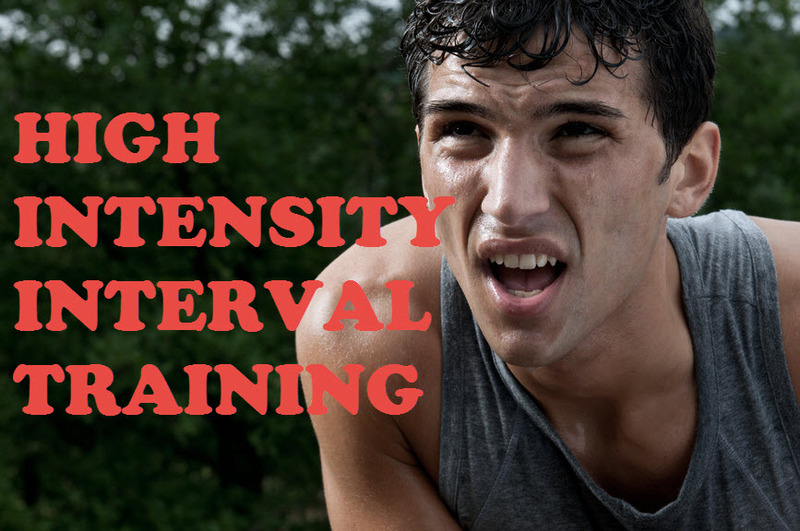 What is High Intensity Training? HIT is a way of working out that demands the body do bursts of exercises at maximum effort for a short period of time. For example instead of doing 30 pushups at a steady pace, you will set a time for 30 seconds and do as many pushups you can within that time. You then get a short amount of rest and repeat that 3-5 times. Another example would be 20 minute run where every 2 minutes you do a 30 second sprint followed by gentle trot, repeating until finished. Training routines typically don’t last longer than 20-4o minutes, and some don’t make 10 minutes. Due to the high intensity nature of the workouts, sometimes the body cannot handle such intense workouts and it takes time to develop the stamina to do so. However, the body will respond, but like any training that’s new, it will require time to adjust to the significant demand for oxygen as well as spike in heart rate. When done correctly, you will feel yourself getting stronger, faster, and fitter much quicker than any other type of fitness routine. This is why today’s top at-home bodyweight workouts (for example: Freeletics and Insanity) use HIT routines at their core for transforming bodies in 30-90 days. HIT just works! The biggest benefit from high intensity training is the ability to burn fat during the workout but more importantly, throughout the day. Studies show that short periods of intense workouts stimulate more muscle activity in the body, causing the body to demand energy throughout the day. Unlike a typical cardio workout such as running, intensity training causes the body to keep burning fat hours after the workout is done. The moment you start doing HIT, your body will respond by demanding more energy to get through one workout. The intensity requires that the entire body be engaged. Like any other form of exercise, the idea is to make you uncomfortable, but if you keep it up, you will notice major changes quickly. You will also feel stronger as you will notice how many more push-ups, squats, jumps, sprints, and more. This added energy demand will improve your overall energy levels. Since the short bursts puts a high demand on the entire body, most muscles will be triggered and by default you will build lean muscle, giving you a more athlete look. You will also have more energy by constantly pushing yourself to the max. You can use that energy to do more workouts, and you can also use that energy to make sure that you can be more productive at work or at home. The exercises that you do as a part of a high interval workout are unlimited, however, there are a few that are constant in almost every routine or program out there. Most of the exercises are made to use your body weight. How Fast Can You See Results? You will feel results the very first time that you do the workout, but you will start to notice results in a couple weeks of starting. You will start to shed the first fat that you have been dealing with, and you will start to fit back into your clothes again. It becomes a matter of how much weight you will lose, and then you can decide how much muscle you want to add by doing weights. Adding in a proper diet will go a long way, and eating lean will help. You can consult your trainer, and they can give you the perfect diet to work with high interval training. The best part of this program is that you can do it right now without any problem, and you will easily have the best body of your life. You will be in better shape than you were when you were in high school, and you will have the energy you need to live a full life. You can go to beach with confidence, and you can have a good time getting new clothes. You have literally changed your entire body, and you will never again wonder how everyone else can look good every day. You now have a plan that makes you look great and feel great at the same time. You will get a very good burn in every part of the workout, and the short breaks in between will help you make sure that you can keep going. You do not want to stop just because you did a couple exercises, and you want to get the full effect of the program by working hard over a long period of time while taking your short breaks. Unlike static weight routines, intensity training doesn’t focus on just a muscle. If you are doing sprints, your entire body is engaged, your legs, core, and arms all need to be working together to maximize your effort. By doing intensity workouts, you will naturally build lean muscle, if you are looking for more of a built physique.